As the weather gets warmer my cravings for cool, refreshing salads increase. I find that I enjoy salads more when they have less lettuce, so I usually create ones centered around a particular veggie—in this case, beets. 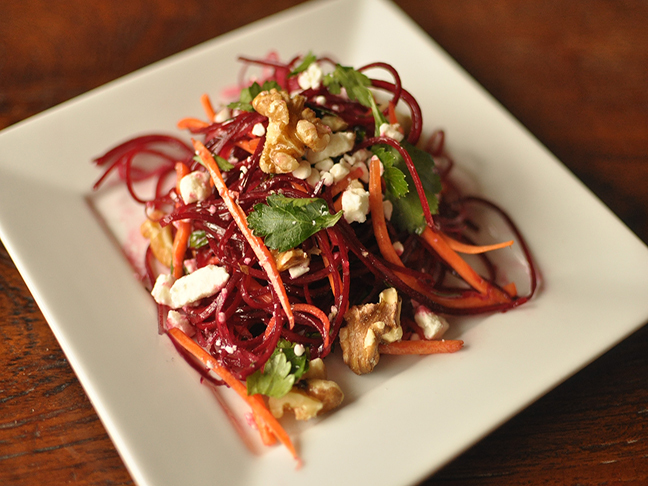 I used my spiralizer to make thin spirals of beets and carrots, tossed it in a simple honey vinaigrette, and topped it with walnuts and feta cheese for a simple yet filling beet and carrot salad. Salad doesn't have to mean lettuce. This salad is SO good---and hearty enough for dinner! 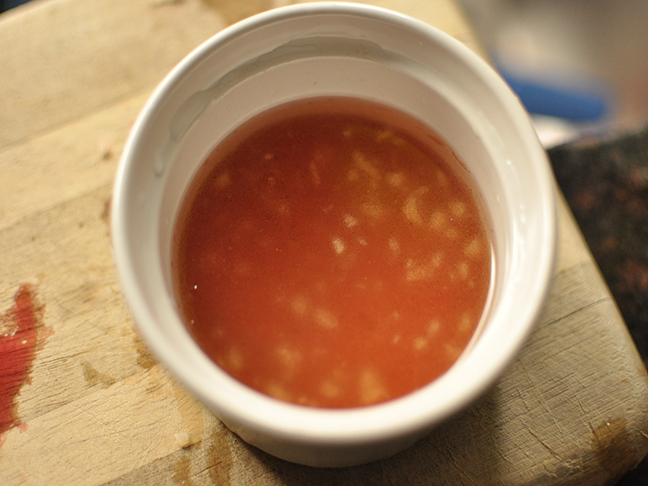 Step 1: In a small bowl whisk together vinegar, salt, pepper, garlic, and honey. Continue to whisk as you stream in the oil. 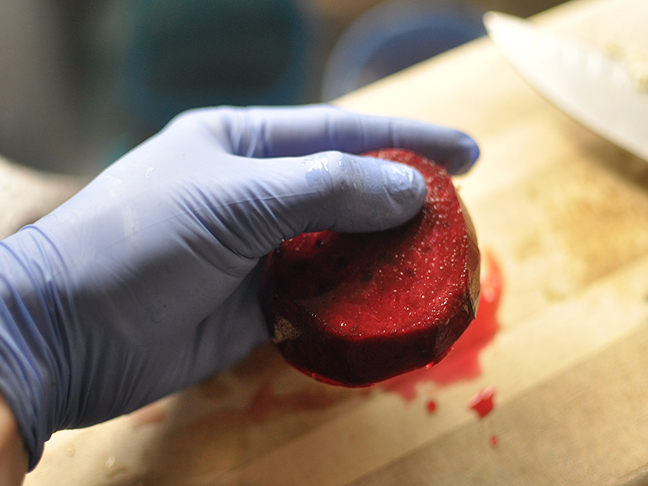 TIP: When working with beets, wear rubber gloves to prevent your hands from getting dyed pink. 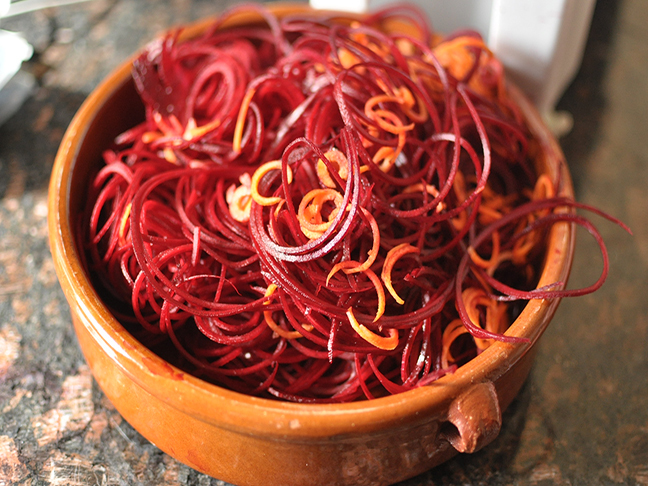 Step 2: Place beets, carrots, red onion, and parsley into a large bowl and toss. Step 3: Pour vinaigrette over the veggies and toss again until they are well coated. Step 4: Distribute salad amongst four plates and evenly distribute cheese end walnuts over the top. Enjoy!